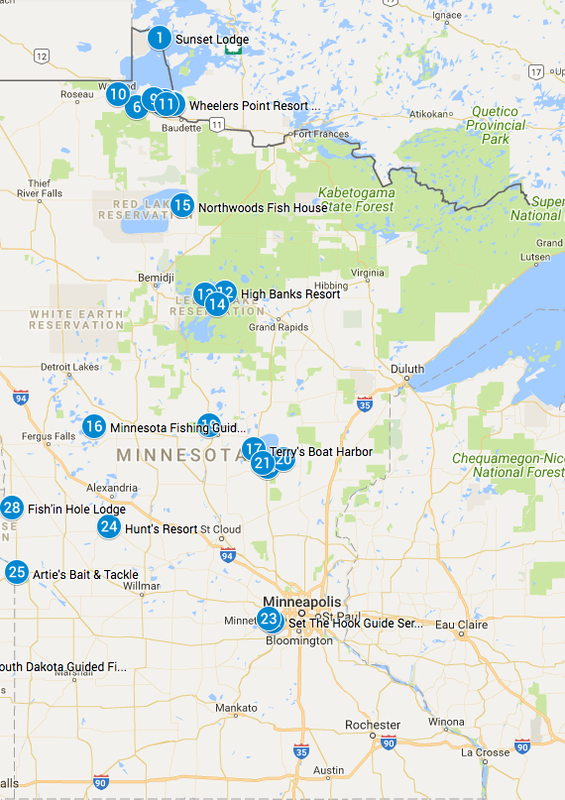 Minnesota Ice Fishing Sleeper Houses - Camping on Ice While Fishing! Dan Gibbins has more than 40 years of guiding under his belt and he takes the business of finding fish very seriously! He and his experienced guides are all avid fisherman, so with their combined efforts, you can be assured of being in the right spot. The service starts when you arrive at our landing. We will help you transport your gear into the Bombardier track vehicles and bring you out to a heated, clean and ready house. 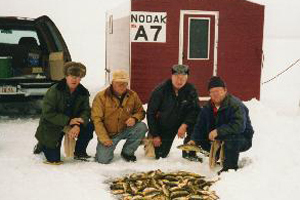 The holes are ready, the bait is provided and as soon as you get settled in - you are fishin'. Part of the fun is being left out on the ice on your own, but there is also security in knowing that a marine band radio connects you to mainland in the event of an emergency - like running out of bait or something! The bunks are comfy and the kitchen is equipped with the essentials. Our newly built houses are 12 feet by 18 feet with vaulted ceilings for a spacious feeling. 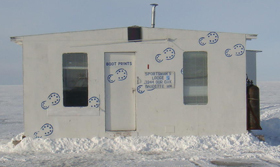 They are equipped with bunks to sleep up to 6 people comfortably and 2 ice holes per person for fishing. Propane heat and lights will keep you warm and give plenty of light for all of your activities. 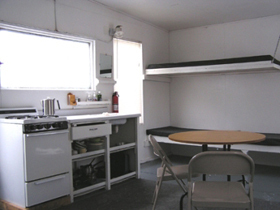 Cooking facilities include a propane stove with oven, coffee pot, pans, flatware, dishes, and dish soap. The houses do not have generators, but you are welcome to bring a small one with you. Each house is hard-wired with one receptacle. You will need a cord to plug in the generator into the house on the outside and a power strip/extension cord for the inside of the house. Water for cooking and drinking is provided in 5 gallon containers. 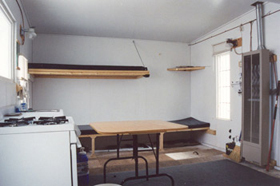 A table and chairs and restroom provide you with some comforts of home. Bait is provided and jig sticks are available if you need them. Vexilars are available to rent for $20 per day. You will need to bring - sleeping bags, coolers for groceries and beverages, a filet knife, tackle and your personal items. Call Sheri or Dan to make your reservation today 218-634-1589. Learn more and view current rates and promotions online. Would you like to make a reservation inquiry or receive more information about Sportsman's? Call Sheri or Dan or complete the following form below and click the Submit button at the bottom of the page. We will contact you as soon as possible.